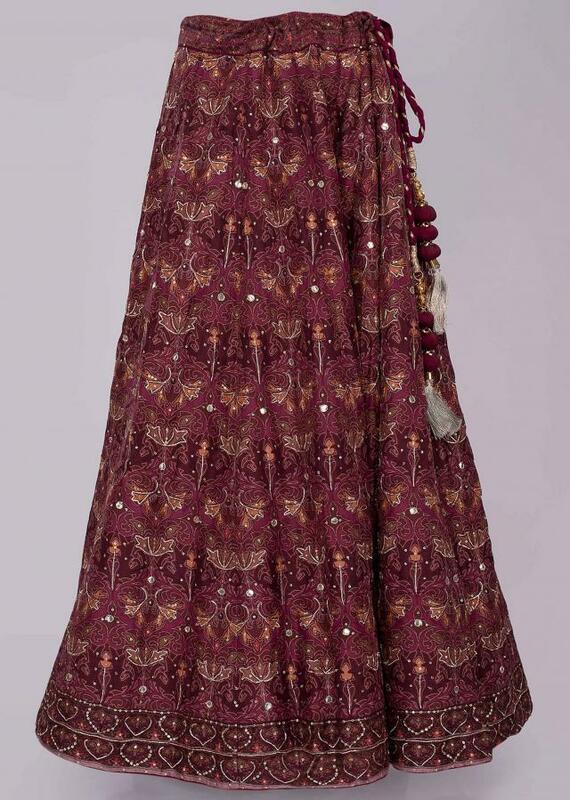 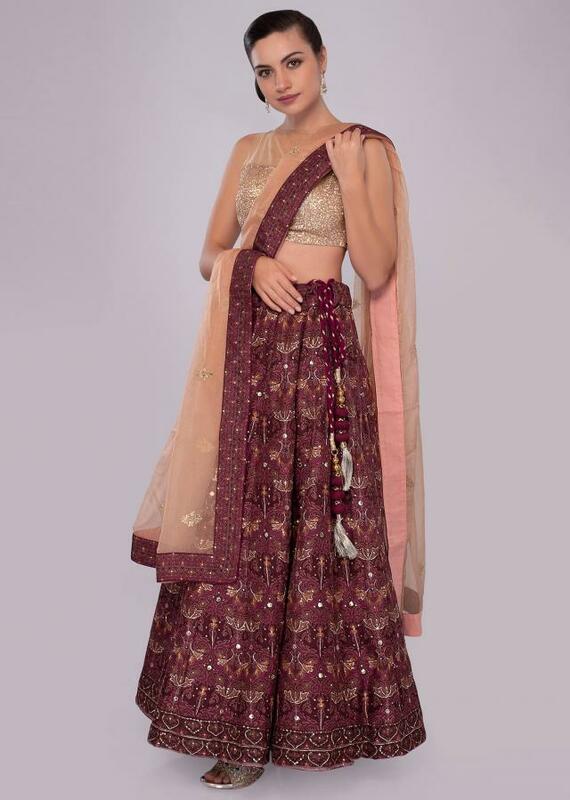 Set a breath taking look with this plum and maroon shade cotton lehenga in self print. 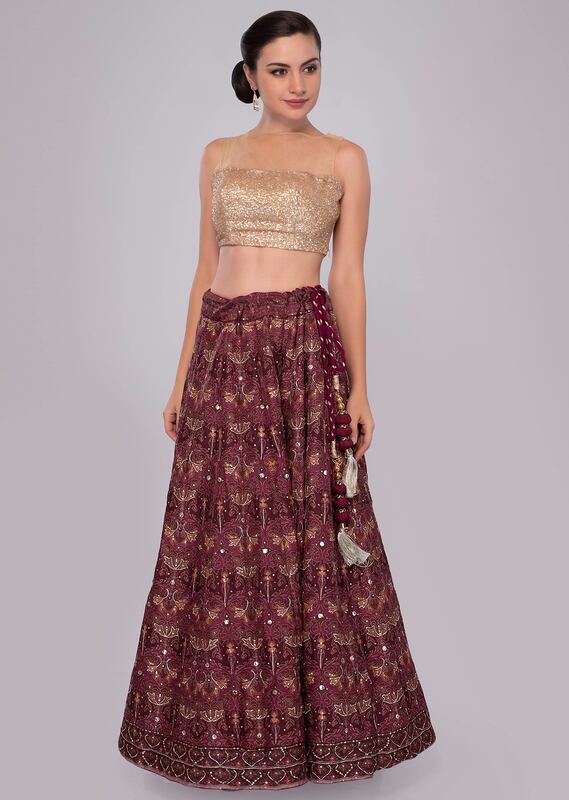 The print on the lehenga is further adorn with sequins and gotta highlight. 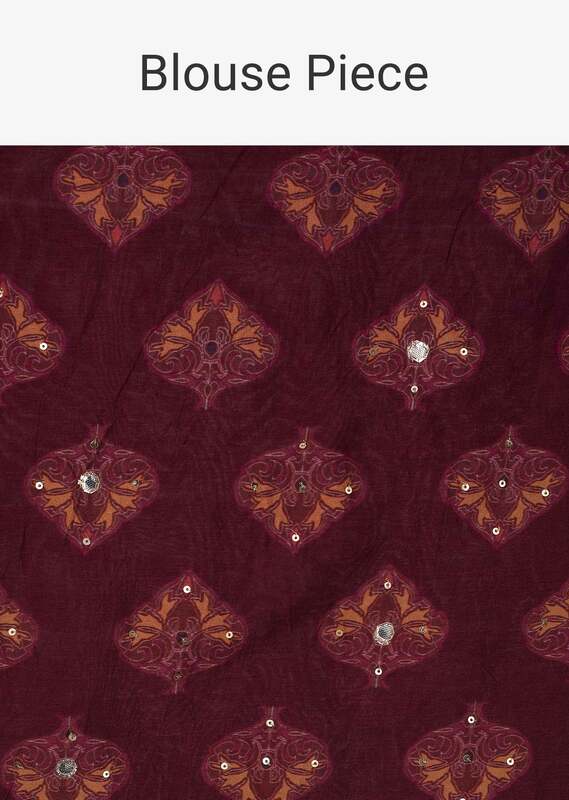 It Comes with a matching unstitched cotton silk blouse with printed butti. 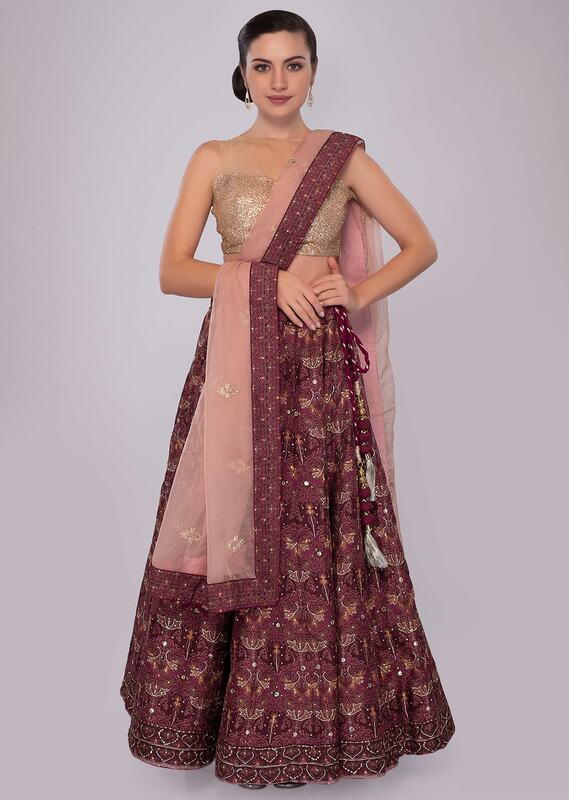 Paired with a contrasting peach organza dupatta with zari butti and printed border.